Lynette Barbieri has been running her own business for over 20 years. She is a passionate Money Sales and Business Coach and Mentor. As a mother of four, Lynette knows first hand what it is like to build a business around a family and she did so on her own terms. Barbieri built her business having no financial industry background and very little business and sales experience to a business bringing her a six figure income in a few short years. She learned how to recruit and sell naturally and by being authentic, she soon developed her own style which helped her to succeed and over the years has helped many other entrepreneurs succeed in sales as well. Lynette always says, "If you love what you do, and the difference it makes in peoples lives, sales is simple!" She specializes in working with women entrepreneurs helping them learn how to build a successful business, sell with intention, and teaching them how to take charge of their finances. Her easy-to-implement strategies supports her clients in achieving financial freedom. In 2012, Lynette co-founded The Entrepreneurial Think Tank For Women. ETTWomen's focus is to connect like-minded women and teach them how to build their business through building relationships and developing strategic partnerships. In 2016 Lynette also co-founded The ETTWomen Foundation making the organization's long-term vision come to life, by assisting women in crisis from domestic violence, sexual abuse, and financial hardship due to personal illness or illness of a family member. 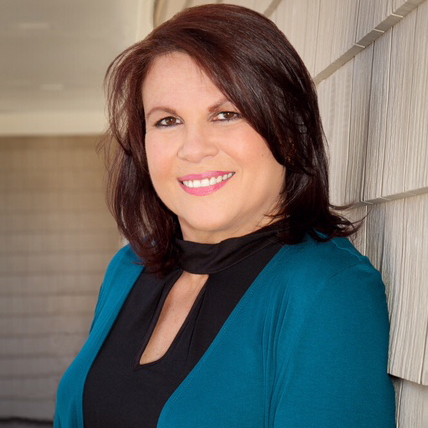 Lynette loves the beach, personal-development books and conferences, meeting and connecting with inspiring positive women, cooking and trying out all types of ethnic foods. She believes you are never too old to change and reinvent yourself and believes you should never stop dreaming and stretching yourself. Barbieri resides in NJ with her family but proclaims that you can never take New York out of her heart.